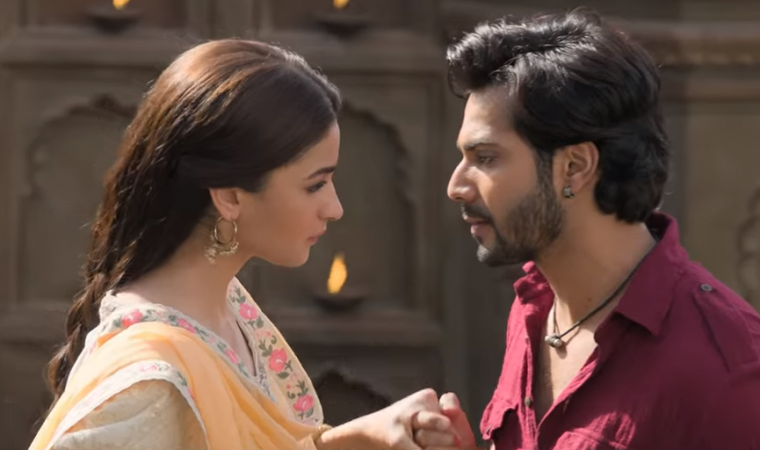 Despite having a stellar star cast and stunning visuals, Kalank falls flat on various levels and fails to live up to the expectations. Read the full movie review. All that glitters is not gold! The movie Kalank is a fine example of this adage. Despite having a stellar star cast and stunning visuals, the period drama falls flat on various levels and fails to live up to the expectations. 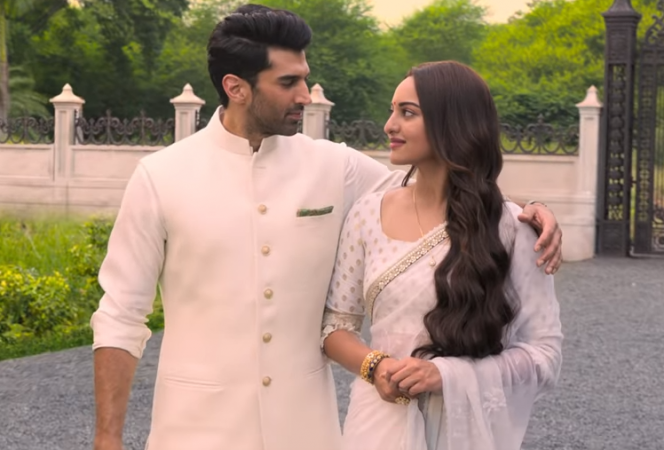 Satya Chaudhry (Sonakshi Sinha), the wife of Dev Chaudhry (Aditya Roy Kapur), suffers from cancer and hardly has one year of life left. Her last wish is to be sure that her husband gets married to another girl, who is good enough to take care of him after her demise. Satya chooses Roop (Alia Bhatt), an educated girl from a poor family, and requests her to be with their family in order to be familiar with Dev, and then marry him after she passes away. While Roop was initially totally against this idea, she eventually agrees but on the condition that she gets married to Dev before settling down there. 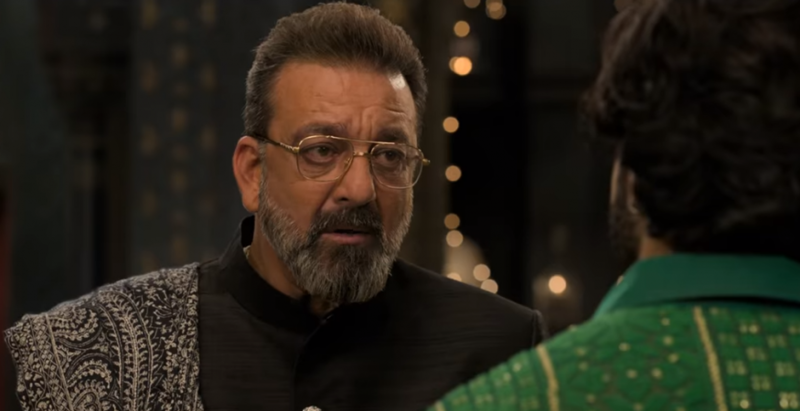 Satya agrees to it, and so does Dev and his father Balraj Chaudhry (Sanjay Dutt). However, this marriage turns out into just a contract, and never a relationship. Meanwhile, Roop comes across a Muslim blacksmith, Zafar (Varun Dhawan), who does not believe in love but only in lust. He is an illegitimate son of a courtesan Bahaar Begum (Madhuri Dixit). Being deprived of husband's love, Roop starts falling for Zafar. He too is attracted towards her, but he has a bigger and a revenge motive behind befriending with the Chaudhry family's daughter-in-law. However, both Roop and Zafar eventually fall in love but their extra-marital affair certainly cannot go unharmed. A lot of drama follows, bringing out some dark realities from the past, and a tragedy in the future. 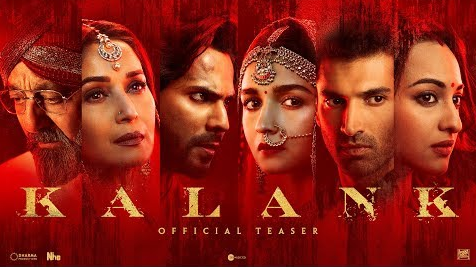 Kalank is blessed with a brilliant star cast involving Varun Dhawan, Alia Bhatt, Sanjay Dutt, Madhuri Dixit, Sonakshi Sinha, Aditya Roy Kapur and Kunal Kemmu. All the actors performed exceptionally well. Kalank has some splendid visuals. Cinematography is one of the key elements of this film. Mention-worthy scenes here are the bullfight scene and a Dusshera sequence. Varun and Alia's chemistry yet again strikes the chord. Some of the dialogues are hard-hitting. The movie showcases various elements of complex relationships well. 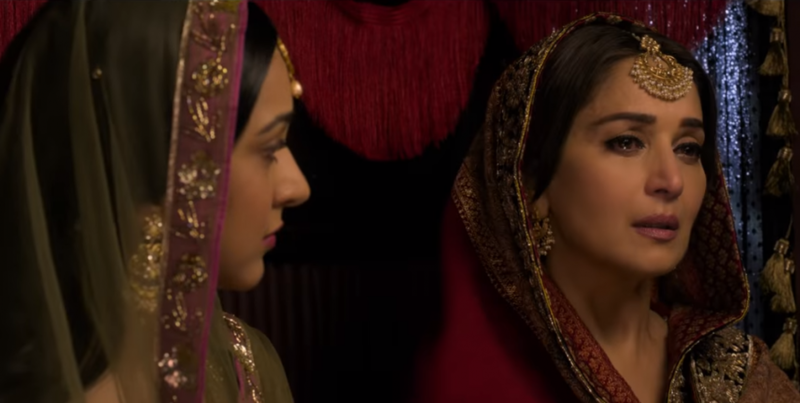 Kalank has a number of silly flaws that are hard to miss anyone's notice. Firstly, it is absurd to see a wife wanting to fix her husband's re-marriage. It gets even more irrational when the wife actually agrees to get her husband married and all of them stay together. Secondly, there is a Hindu-Muslim riot and the Hindu population (minority) of the area starts fleeing on trains. 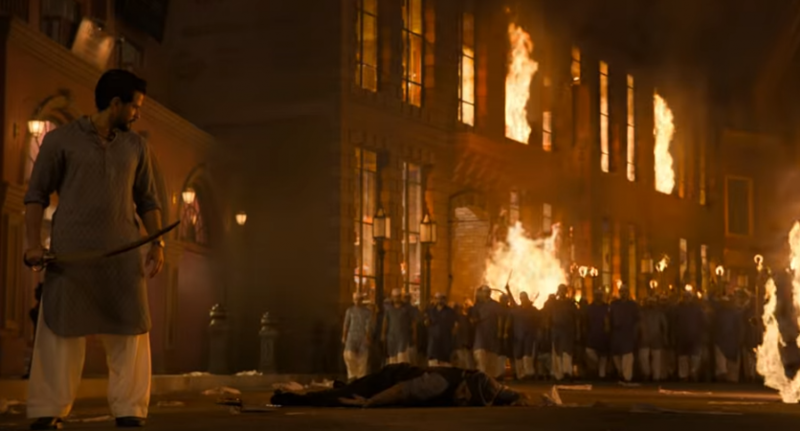 However, the Muslim mob is seen attacking only the three characters – Roop, Dev and Zafar (as he was helping the other two characters), leaving the rest of the Hindu crowd. A mob certainly do not attack selective people from the opposite religion, and if the mob was particularly after just the three characters, why were the other Hindus fleeing? Thirdly, there are too many songs in the movie, which not only is distracting but also monotonous. The film is extremely slow in the first part, and even the second part is unnecessarily dragged. The sets of the film also look too unreal. 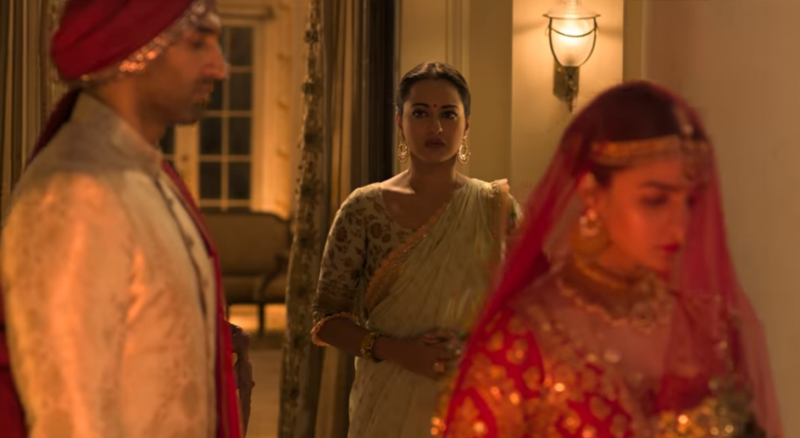 Kalank is a film which has all the elements to be an excellent film –a brilliant star cast, high budget, stunning visuals and a good storyline. However, it falls flat on silly loopholes, slow pace and faulty direction.